By Pine Pienaar, MD, Afiswitch. The concept of using of biometrics – measuring an individual’s unique physical and behavioural characteristics or traits – to confirm a person’s identity, was conceived thousands of years ago. For instance, since the dawn of time people relied on facial recognition to distinguish between people they did or did not know. The use of fingerprinting can also be dated as far back as 500 BC1, whereby these unique markers were recorded on tablets as part of verifying the identities of parties to a transaction. • 18232 – Dr J. E. Purkinje, a professor of anatomy at the University of Breslau was the first to publish an essay on the varied ridge patterns of fingerprints and classified them into pattern types. individuals and that these markings remained unchanged throughout life. • 18823 – The Bertillon System was introduced. Although use of the Bertillon System as a standalone method to verify an individual’s identity, saw a dramatic decline following the case of William West and Will West at a Federal Prison in Leavenworth, Kansas, in 1903, the methodology of the Bertillon System is still pursued in biometrics and forensic science today. • 19364 – The concept of using iris patterns as a means of recognising and verifying an individual’s identity was first introduced. • 19605 – Face recognition becomes semi-automated, and later the first model of acoustic speech for identification was proposed. • 19803 – The first computer database of fingerprints was developed, which came to be known as the Automated Fingerprint Identification System, (AFIS). ° The AFIS was introduced in South Africa in the 1990s, though this system and other versions that came after it weren’t very successful and by 1995 this system was disbanded. However, efforts continued to create a system that was optimised and effective, and a new system was re-introduced in the country in 2002. ° Research6 indicates that the AFIS market will continue to experience solid growth and the market is expected to be worth US$ 8.49 billion by 2020. It is interesting to note that most of these developments centred around physiological traits and unimodal biometric systems. In fact, much of the focus during the 20th century was on building devices, back-end databases and systems that could correctly capture and store fingerprints so that these records could later be used to make an accurate and automated comparison when a ‘one-to-one’ or a ‘one-to-many’ request was entered into the system. For that time period, it was strongly believed that fingerprints alone would be the universal identifier that could be used for a number of applications for authenticating and verifying a person’s identity, but it was soon realised that other systems could be built on top of this, including verification for security, access control, or verifying personal and/or criminal records, for example. For the most part, automated fingerprint identification systems still form the basis of most biometric solutions today. However, following the advent of the Internet and given the pervasiveness of fake documents – linked to fake identities or identity theft – as well as major world events such as 9/11, it was realised that a standalone biometric identifier is not suitable to meet all the security requirements of various applications. As a result, the industry is increasingly transitioning from unimodal to more integrated multimodal biometric solutions for more accurate identity verifications and to deliver faster results in real-time. As an emerging trend, multimodal biometric solutions can take input from a single, or multiple devices, capturing two or more different physiological or behavioural traits for identity authentication and verification – depending on the application and security measures required. The combinations for a specific application can vary and may include any number of identifiers from fingerprints to iris, face or voice recognition, or a person’s signature – even a person’s gait signature (distinguishing someone by the way they walk, although less known). 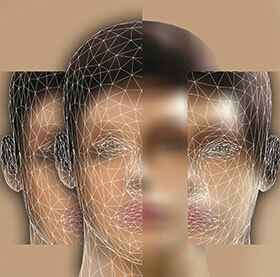 These biometric identifiers may be used in combination with any other unique traits to identify an individual. While unimodal fingerprint systems will continue to have a place in the market, multimodal biometric solutions are certainly more robust and reliable. But, the real value of these solutions is in the diverse applications in which they can be used, across any sector or industry, to better protect personal information – and to detect and protect against fraud and/or other illicit or criminal acts. As we leap forward to the current brave new digital age, due to the ongoing waves of digital transformation, biometric solutions are dubbed to go mainstream as the foundation to managing identity authentication and digital security. In fact, an IBM Security Report7 found that while 67% of respondents said they are comfortable using biometric authentication today, 87% say they’ll be comfortable with it in the future. As the digital play in biometrics rapidly evolves, these solutions include fingerprints, facial recognition and even iris or retina scanners on mobile devices, at ATMs and self-­service check-in counters at airports. Devices and solutions will be designed and built specifically to address the need application and the fluidity of this modern world. In fact, there are already examples of such applications being implemented and tested globally. Going forward, we expect that mainstream adoption of biometrics will impact how employers, service providers and technology companies provide end-users with access to these devices, applications and services in the future. However, the biggest challenge for the industry and for the public and private entities that want to adopt biometric solutions as part of their identity verification and security protocols, is to obtain user (consumer) buy-in. There are concerns over how and where biometric data will be captured and stored – and how secure the information will be. Though these concerns can be easily allayed as it is possible to securely capture, encrypt and store biometric data, and the research by IBM7 shows that consumers are ready and willing to make use of biometric solutions. The onus is now on the industry and organisations to make use of flexible identity platforms that provide users with accuracy, security, speed and convenience – which makes the identity verification process a positive user experience. In today’s fast-paced lifestyles, knowing who you are dealing with is critical in order to manage personal, business and even ­societal risks on a macro level. The fundamental attribute of biometrics remains as the ability to verify an individual’s identity, which continues to become ever more prevalent in the digital age. Therefore, with the added benefits of agility and scalability offered by digital and mobile biometric solutions, mainstream adoption is only a matter of time.